In this breaking news, Signal Push, the first proper auto-trader company in Binary Options will no longer be accepting new clients and stops subscriptions in March of this year. Kay and Zio debate it out. 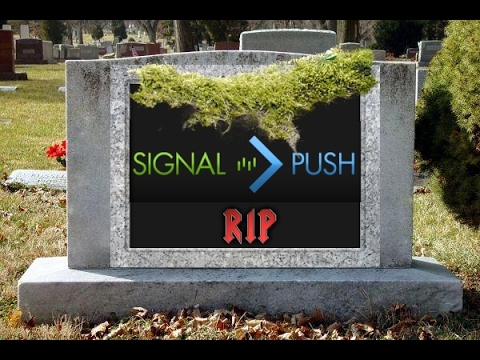 Just wanted to clarify a bit, SignalPush is not shutting down in any way. It’s just a stop of new public subscriptions for now until the relaunch. Private subscriptions are still going and public subscriptions will be coming back eventually. Customers using the SigConnect API within the application can keep using it and won’t be effected. That's good to hear, i'm a fan of both Push and Hive . I think you need medication buddy. Signal Push were one of the real services. Signal Push is/was a professional service. They were one of the early technology leaders in the space. If you had a bad experience with one of their providers, those are the risks of investing and can happen in any service.